I like to believe these cookies are the ones Frog and Toad can’t stop eating in that children’s book Frog and Toad Together. The Frog and Toad series, for the uninitiated, is a series of books, each one containing several short stories about Frog and Toad’s adventures. And their adventures are relatable. It’s none of this Curious George business, with a monkey flying away in a hot air balloon or working in a chocolate factory. Frog and Toad are too low-key for those shenanigans. Instead, the stories are about things so everyday that they’re almost dull. Toad loses a button from his jacket. Frog writes a letter to Toad so he has a reason to check the mail. Toad plants flowers and waits for them to grow. These are some chill amphibians. 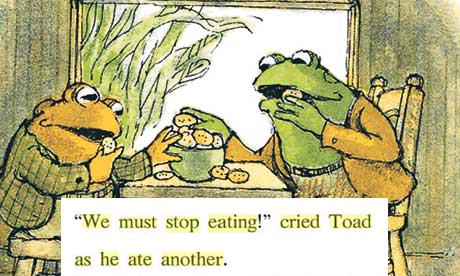 In my favorite story (naturally, as food was involved), Frog and Toad can’t stop eating cookies. The cookies were never described (literally, the first sentence of the story is “Toad baked some cookies.” They don’t have time for extraneous detail). All we know is that the cookies smell wonderful, taste wonderful, and are addictive. And that story stayed in the back of my mind. But it wasn’t until I baked Mexican Wedding Cookies that I made the connection back to the Frog and Toad story. I wasn’t expecting anything life-changing. I got the recipe, of all places, from an American Girl cookbook. 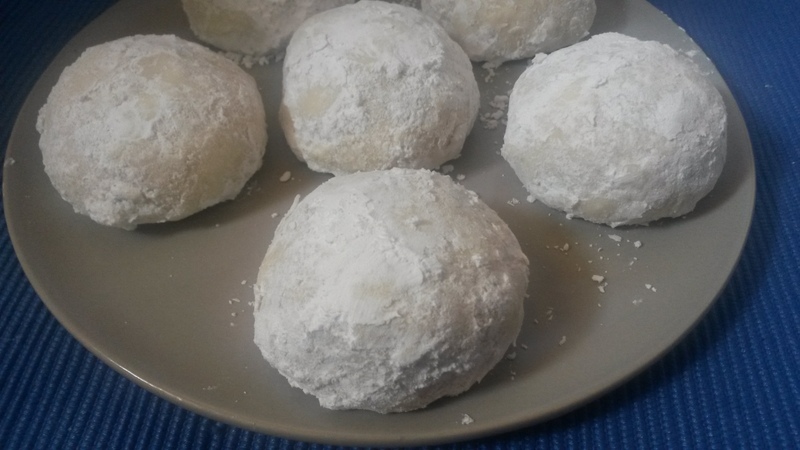 The cookbook connected these cookies to Josefina, and I made them out of simple curiosity. I would remember them as the paper bag cookies, for the way the recipe instructed you to shake the warm, freshly baked cookies in a paper bag of powdered sugar to give them their characteristic sugared coating. These, I decided as I ate my second cookie, must have been the ones Frog and Toad were eating. And then, fingertips dusted with powdered sugar, I reached for a third. These nutty, crumbly cookies are simple. Butter, powdered sugar, flour, vanilla, salt, and some variety of nut. Once discovering the recipe I could have made them more often when I was growing up, but they were so addictive that even at eleven years old I knew it wouldn’t be wise. They sent my family and me into a frenzy and it was difficult to stop eating them. The butter and the ground nuts give the cookies two sources of fat, which makes them doubly irresistible. The recipe calls for pecans, but I always grew up using walnuts, and I’ve also seen recipes that use hazelnuts instead. I’m partial to the subtle flavor walnuts give them, but I’d like to try them with pecans if I can ever bring myself to vary the recipe. I also skip the cinnamon, simply because the recipe I used growing up didn’t involve cinnamon. While I’m sure it would be a nice addition, I prefer to keep the ingredient list short so as to let the buttery walnuts and fragrant vanilla shine through. I also add a pinch of salt to let the flavors stand out. The recipe claims to make four dozen, but I got less than half that amount, likely because each of my cookies comprised about two tablespoons of dough. This makes for a larger, fatter, rounder cookie. This way, each cookie has more of that delicious buttery interior. 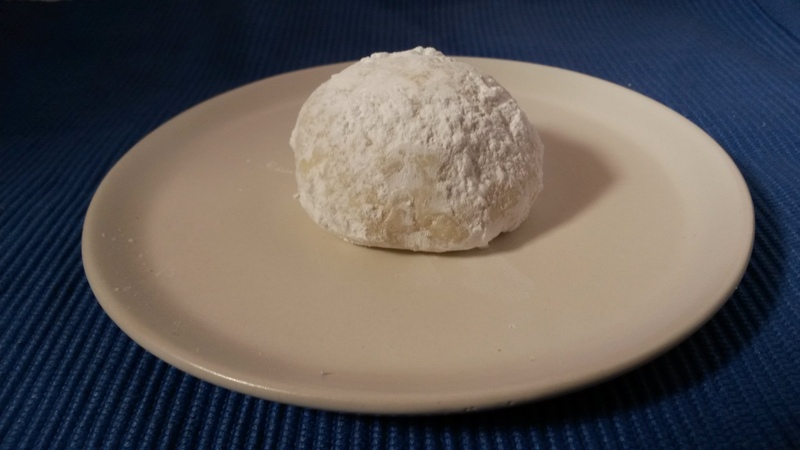 But if you’re more partial to the crunchy edges dusted in powdered sugar, make your cookies smaller by all means. Either way, I dare you to stop at just one. Cream butter and 1/2 cup of the powdered sugar in a large bowl until fluffy. Beat in the vanilla, then add the flour and walnuts. 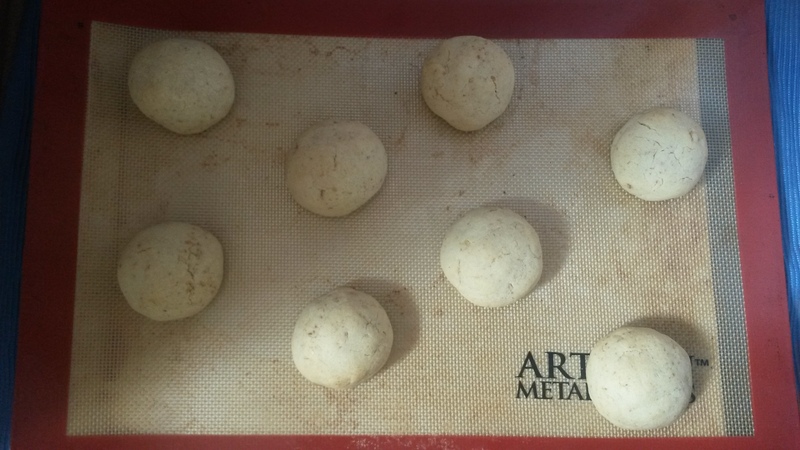 Divide the dough into two halves and wrap each half in plastic wrap. Chill in the refrigerator for 30 minutes. 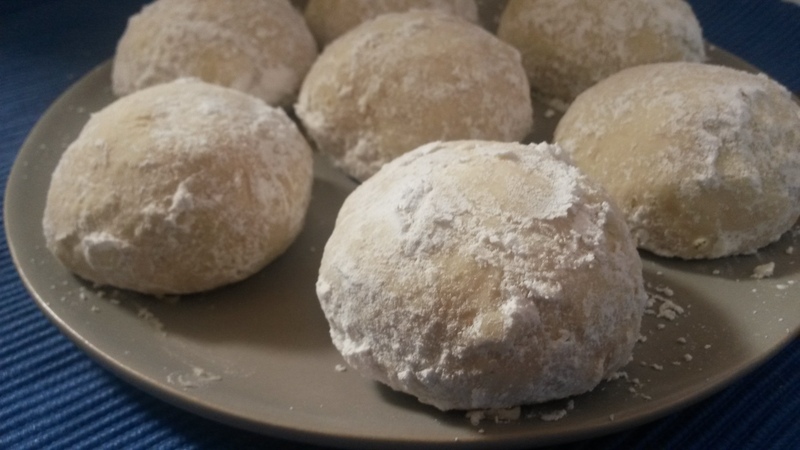 Roll the dough into balls (for larger cookies, use two tablespoons of dough per ball; for smaller cookies, use one tablespoon of dough per cookie). Place the balls half an inch apart on an ungreased baking sheet (they won’t spread much). Bake cookies for 12-18 minutes, or until their bottoms are golden brown. Cool the cookies on a baking sheet for five minutes; while they cool, put the 1.5 cups of powdered sugar (and cinnamon, if using) into a large bowl or paper bag. 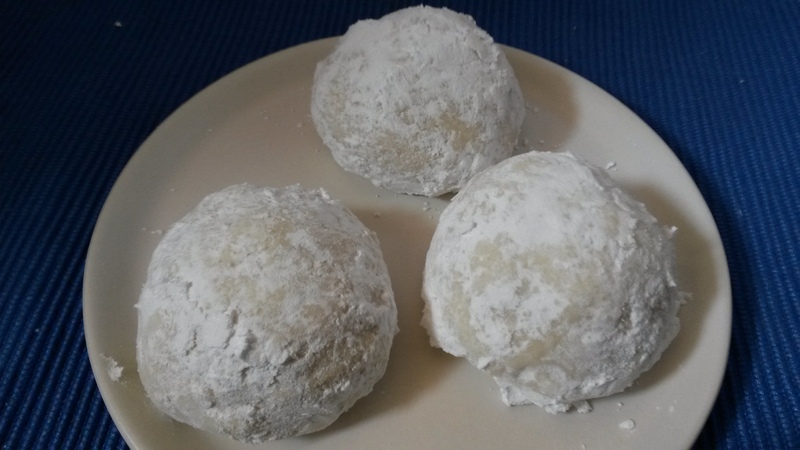 Toss the cooled cookies in the powdered sugar, ensuring that they are coated all over. Place sugared cookies on a cooling rack to cool.